It all starts with an idea. You decide to open an online shop, with a particular idea in mind. However, to make this idea concrete, to turn it into a business which will eventually bring profit, you will need to organize it properly. Even if you are completely new to the digital world, it is essential that your catch up with the trends and practices that will enable you to run your business successfully. If the assets are limited, and you are unlikely to afford an expert to help you with setting up, you should explore a DIY method, where you would study and explore each aspect of running an e-commerce website. To make sure you keep your ideas and thoughts organized, start creating a business plan. A business plan is a document which highlights business goals and strategies on how to reach those goals. It also defines the key aspects of starting and running a business. Essentially, it is a roadmap that will include where you want to go and how to get there. It is a way to describe where you see your business with details about the actions that are needed to reach that destination. There is no need for a business plan to be long or exhaustive. With this DIY method, you will be creating this plan for yourself, and you need the essentials to keep everything organized. It is likely that no one will analyze that plan, except for you and people you get involved in the project, so make it concrete and spot on. Focus only on those segments that will help you with defining your vision and determining a set of actions you will take. Try to group your ideas into these three groups. The business name is the name you choose for your business. It is the name that should eventually become recognizable, distinctive and associated with your business. It will become a part of your brand. This is why determining a business name is a crucial decision in the business plan. It requires a lot of thinking, piling up the ideas and eventually choosing the right one. The final step is when you choose among the selected few. You might want to consider the opinion of the people who are directly related to your business. Alternatively, you could use A/B testing where you would create two identical landing pages. You could use a tool such as LeadPages or Unbounce for this purpose. You would then share the page, gain traffic and examine the performance of two or three name variations. Ideally, your business name should match your website name. 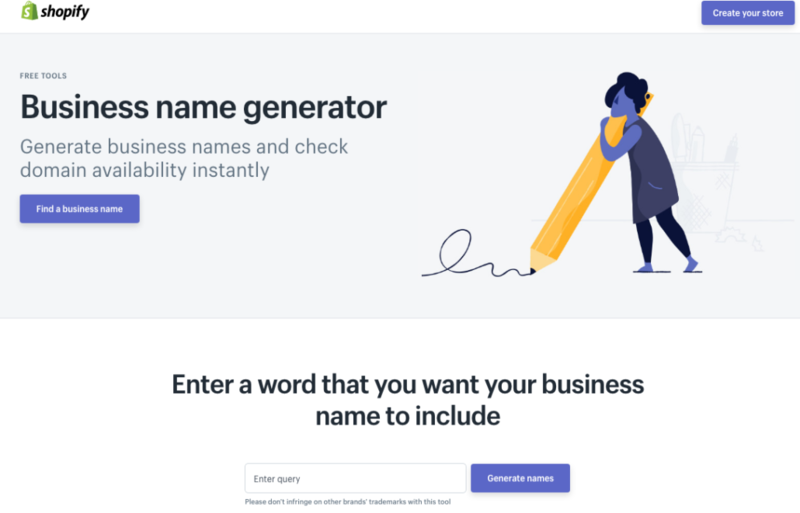 Use a tool, such as this business name generator, and check if a particular website domain name is available. The tool will also show plenty of alternatives, so even if the name is not available, you will get suggestions on which modifications of that name are available. The main reasons why the website domain should match your business name are the users and the search engines. Firstly, users will expect to see your site once they type your company name into the search bar. In case a website with a different name comes up, as a result, they might not consider it to be related. You should be aware of this expectation when making a decision on choosing a business name and registering a website. And secondly, this will also be good for SEO because your business name will be a part of each URL created on your website. Depending on the scale of your business and the budget you have, you could hire a professional designer who would design a logo once you have a business name. Apart from a business name, it is helpful to share some keywords and topics that are associated with the brand, the story behind the name, etc. This helps with the process of creating a logo. Logomakr– The tool offers low quality + CC license with free logo, while you will need to pay for high-resolution photo. LogoShuffle– Provide your business name, slogan, and keywords, select the icons, font categories and change colors to get logo mockups. Shuffle the ready-made designs, and once you find the one, you can buy it. Tailor Brands– You will provide a logo name and a short description after which you will be offered a series of example pairs where you will choose the one your prefer. This will enable the tool to create a logo tailored to you, after which you can purchase the logo. Online LogoMaker– Add text, choose symbols or upload an image, and get started creating your logo. A free logo includes a low-resolution image, while payment is required to download a full resolution logo. The next part of the business plan is focused on your products. Start with defining what you are selling and how you are going to sell. If you are creating products, you will need to provide information about the supplies needed, the way you will obtain supplies and the time required for making those products. On the other hand, if you are going to buy products to sell them in your store, you will need to focus on choosing suppliers. The goal is to get the best product for the best possible price. 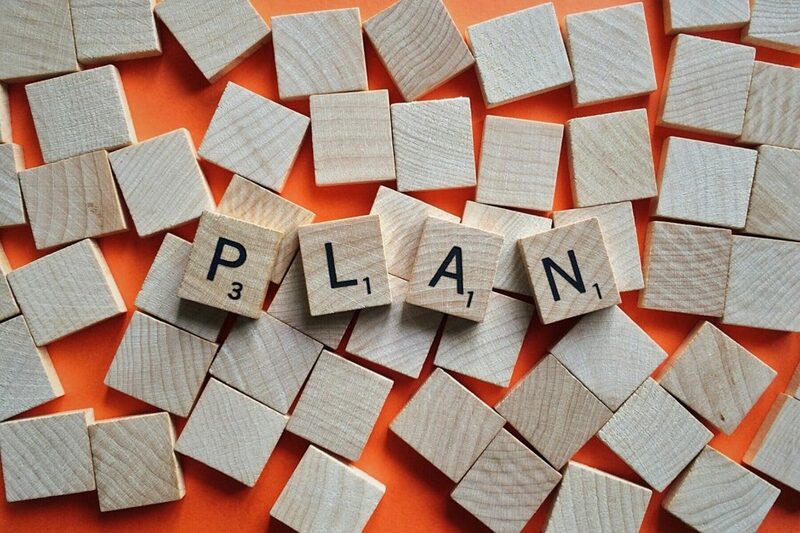 Planning these activities in advance helps you stay organized and prepare everything to quickly implement the plan. In most cases, you will either sell digital or physical products. However, when it comes to books or music, you can choose which one to sell, a digital format which is downloadable and instantly available, or a physical product. You can always offer both formats. Since e-commerce is focused on sales that are conducted online, the primary place to sell products is the internet. However, this does not stop you from selling off-line as well. Choosing between a physical or a virtual store is simply a matter of how you want to run your business. The main difference is that virtual store usually requires less paperwork and administration. This is why it is easier to set up an online store. The main convenience an online store offers is that it can be accessed anytime anywhere. There are no limitations regarding space which means that the customer base is much wider than when it comes to a physical store. For customers, this means an enormous amount of time saved they would otherwise need to spend looking for items and exploring different shops all across town. Searching for the desired product has never been easier, with the use of search option offered by every virtual store, allowing a quick and easy way to look for an item based on the keywords, product name, etc. In terms of business owners, a virtual store primarily represents a smaller investment. It is much cheaper to run a virtual shop because there are no rent costs, no utility bills, etc. The only costs involve web hosting and technical support if you need it. With virtual stores, you can do most of the work related to management and handle the sales, which means that the costs of hiring employees can also be avoided. You can always opt for an option to run both virtual and physical store. Since there is a huge number of consumers who still prefer that old-school method and are in fact willing to pay more if they are able to feel the actual product before buying, you could open a physical store alongside a virtual one. Being aware of additional costs that a physical store can impose is a good start to evaluate if you want to run this kind of business as well. When we focus on the virtual realm, there are a couple of ways you can sell online. Firstly, you can have your own website. Alternatively, you could join marketplaces and sell through their website. This choice is also something to include in the business plan. If you are planning on using several marketplaces, provide all of this information in the business plan, to help you further along with the planning and promoting products. Opening any business requires an investment. Even though running an e-commerce business does offer this advantage of being the one that needs a small investment, you will still need a certain amount of assets to open and start running a virtual store. It is helpful to determine the assets you can invest, and then compare those to the actual costs you will have when opening up an e-commerce business. To help you with calculating the investment needed, let us focus on the costs you will have when opening this kind of business. The domain is the first thing you will have to purchase when setting up a business. The actual costs may vary depending on the provider, as well as on the type of domain extension you choose (.com, .net, .shop, etc.). The domain is bought yearly, but you can choose between one year, two year or even five-year period. Domain name is sometimes free with a hosting plan, or it can start from $1 for a yearly plan (usually for first-time customers only). The regular price is usually between $10 and $15 per year. If a domain name is not available, sometimes it might be offered for an auction, which means that the price can be much higher. This is usually what happens with popular domain names. Hosting is an online storage for your website, and it is the place where your website will be built on. There are many hosting providers on the market, offering hosting packages anywhere from $1 to $3 per month for first-time customers and basic plans. For e-commerce, you will need a hosting that is flexible and can grow as your business grows. When starting your business, you might be prone to choosing a simpler solution and a plan with some limitations. These plans are usually cheaper, which is great if you are in the phase where you are still testing the market and exploring the potential of your business. However, the plan you choose has to be easy to upgrade as soon as you recognize that your business needs a more powerful solution, in terms of performance, bandwidth, storage, etc. The average hosting package is between $10 and $20 per month, depending on the type of plan and hosting provider you choose. More advanced solutions such as a virtual private server, a dedicated server, etc. are more costly and will require greater investment, but surely are something to think about if you are thinking about a big online business. Although running an online store is a more convenient method of commerce in general, it still requires a bit of know-how, especially when it comes to setting up a website, online payments, etc. The costs here can range a lot, depending on how simple or complex the system is, as well as on what kind of help you will need. In case you opt for a marketplace instead of your own website, you will obviously avoid a part of these costs, such as the domain and hosting. Still, selling through marketplace usually requires a certain fee, that is often calculated as the percentage deducted from the sales. This section of the investment can vary hugely from business to business. For starters, you might sell products by acquiring them directly from the manufacturer. In this case, you usually do not have to buy the actual products, but instead, you will simply purchase them once you receive an order. On the other hand, if you make your own products, you will probably need some kind of materials to make them. These costs should all be included in the calculation of your business investment. Create a business plan that features all these fields and then fill in the expenses you expect to have. Sometimes it is not possible to predict the exact costs but an approximate value. Then it is always better to calculate a higher value, just in case. Once you have all the values, the sum of those is the investment you will need to start your business. These three elements make up a core of the business plan. These are the base from which you will form a strategy later on. For example, having determined a business name, you can then work on social media marketing strategy, by creating online profiles with this name. While a lot of information is included in these three parts, there are still more aspects of e-commerce website you should have in mind. Each e-commerce has a goal of acquiring profit through sales. This is the primary goal you want to achieve, and we will focus on different methods for achieving this goal later on, but when setting up a business and defining a business plan, it is helpful to try to predict the profit over a given period. Since each business requires an investment, the first income you acquire from sales will be enough to cover this investment, and it might be a while before you start gaining profit. Another part of the business plan you will work on is pricing for the products or services that you offer. Since the price essentially should cover the costs needed for that product or service to be provided, plus some profit for you, a good starting point is predicting the costs to make (or buy) an individual product or to provide a particular service. It is how you get an estimate on how much to charge. For example, if the product costs $10 to make, and you want to earn $5 from each sale, the product price could be$15. However, you will also need to consider other costs as well. Even though the cost of website hosting is not directly part of the product cost, it is an expense you will have to pay from the revenue you obtain. Thinking about overall predicted costs might give deeper insights into how to form the product selling price. So, you might want to go up from $15 to $18. The second thing you should consider when determining the pricing is the situation on the market. Make sure you explore the internet and look up businesses that offer the same products or services. Take a look at their pricing, and check out if there is a space to modify your price further. For example, if you explore the same product category and the cheapest product you were able to find is sold for $25, you might want to increase the price from $18 to $23 or even $25 to match your competitors. Seasonal offers – Holiday seasons are popular times to offer discounts and special offers, so you might want to plan this for Christmas, Easter, etc. So far, the business plan was focused on what to sell, where to sell and how to determine costs and pricing. Finally, the business plan should also include a section on how you are going to promote the products. Since promotion includes an important part of your strategy and it helps with estimating profit, it is very helpful to plan online promotion in advance. There are numerous opportunities within these channels. For instance, you can advertise products on your site; you could pay to have banners on other sites, etc. Regarding social media, you can choose a format (text post, image, video) and then promote it through different social networks such as Facebook, YouTube, Twitter, etc. A good thing with planning channels for promotion is that this helps you determine online media you want to focus on. If you plan on using Facebook ads to promote your business, you will need to have a Facebook profile and a Facebook page first. The same goes for all other channels for promotion. Planning also gives you estimates on the budget you will need for this type of promotion. Let us say you plan to use paid advertising with Google AdWords. These campaigns require a budget, and you will be able to plan it within the business plan. Improving the level of loyalty with rewards, benefits, etc. Since promotional activities improve your online influence, try planning them in advance inside a business plan. The main reason why it is good to prepare them in advance is the fact that you will be able to define the budget for each of these activities. Furthermore, you will be able to plan the exact period when you will be organizing each activity. You do not want to host several of those at the time, nor do you want to overlap with other activities you plan for your business. For example, when introducing a new product in your store, you might not want to offer a discount for that product, but instead, you could host a contest or a giveaway. These are only some ideas, and the numbers are used just as an example. You should define a goal based on your own business and based on the predictions related to the business success. If possible, always add a quantifier (such as 50, 10%, etc.) to make those goals easily comparable to the results. This also makes goals more specific, allowing you to plan actions that will lead you towards achieving those goals. Your business plan should contain several goals that you want to achieve. Once you have those goals, try to predict actions that will help you achieve them, as well as the time interval need for that. For example, if you set up a goal to increase the sales for 10% each month, you obviously need to work on promoting your product and reaching new customers. You will plan actions such as social media promotion, search engine ads, organizing a giveaway in collaboration with a blogger or influencer, etc. As you can see, different segments of online marketing will directly affect the ability to achieve e-commerce goals. A business plan helps you stay organized. When you have a business plan as a reference, you will always know what your next steps are and what you need to complete preparation. Being organized helps you save time and effort by determining a roadmap you will follow. We all know that time is of crucial importance, especially when starting up a business as you will soon become overwhelmed with the number of tasks you will face with. However, if you have a business plan, you will be able to organize your time much more efficiently. Since a business plan has the information about the estimated costs, this is an excellent reference when thinking about your available assets and how you are going to distribute those. Finally, a major benefit you will see with the business plan is the fact that you will recognize activities that will require different departments to work together. For example, collaborating with social media department on a promotional activity can yield great results for your business. Smaller companies might not have departments, but different persons being in charge of those tasks, or even perhaps one person in charge of various sectors. This is simply a matter of organizing and distributing work, but the point is that e-commerce is and should be seen as a part of global business running. Combining the power of sectors such as online marketing brings more benefits for your business by joining the forces to work on achieving the common goal. How to use a business plan? Once you finish the plan of activities, once all of the fields are filled in, you will have a very valuable document about your business and its future. All of these ideas gathered together represent a roadmap that will show you the way through many different situations that might shake your confidence and make you doubt your idea. You will use the plan as a reference. It will be your guide and a resource you will turn to when you want to plan the next action. Check your business plan to explore other options you can grow your business. And as your business grows, so should the business plan. Apart from that initial information gathered inside the plan, think of this document as something that will evolve and change as your business takes new turns. Allow the opportunity for this plan to be flexible and to adapt as you change your business strategy based on the market situation. Update the plan with new trends, ideas and practice and how these can reflect your business approach. This way, you can create a document that follows your vision but still keeps the pace with the opportunities your company might be facing as the situation on the market changes. The purpose of designing a business plan is to provide insights into how you will organize different aspects of your business. It is not necessary to go too deep into the matter and be too elaborate and thorough. For example, rather than planning a promotional activity for Christmas with all the details, a business plan could only acknowledge the fact that you will organize one and perhaps the budget you can allocate to this activity. The idea is only to plan the methods and activities you will use, as well as to predict the budget you will need for conducting those. A good business plan is supposed to keep you organized and help you stay on track. The descriptions and details about each segment can be quite scarce, but enough for you to make sense of those. This will help you to stay focused and never lose track of what you want to do with your business and what kind of strategy you will use to achieve your goals. It will also help with setting up a time reference because some segments of the business plan are crucial before being able to proceed to the next phase. For example, planning and predicting the time needed to develop a website has an impact on when your online store will be up and running.